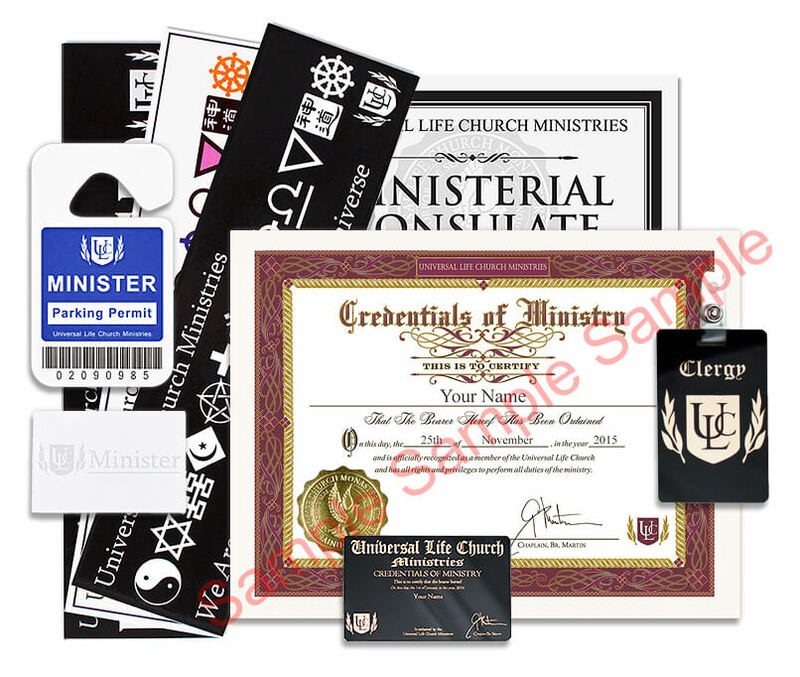 This package contains the official, legal ordination credentials verifying your status as a minister of the Universal Life Church Monastery. If you are planning or performing a wedding soon, we recommend the Classic Wedding Package. The Classic Wedding Package includes the necessary ordination credentials, plus 2 Marriage Certificates and the book "By the Power Vested in You" by The Universal Life Church. The optional Letter of Good Standing is sometimes required by certain states and counties to document your current status as an ordained minister in "Good Standing" with the Universal Life Church. If you are performing a wedding in the next week, we recommend the Emergency Minister's Package. The Emergency Minister's Package includes your ordination credentials, a notarized Letter of Good Standing and FedEx Express Overnight shipping. This package is not available for international customers. New York City and the State of Nevada both require us to prepare documents not included in this package. Please choose the appropriate state package for those areas.